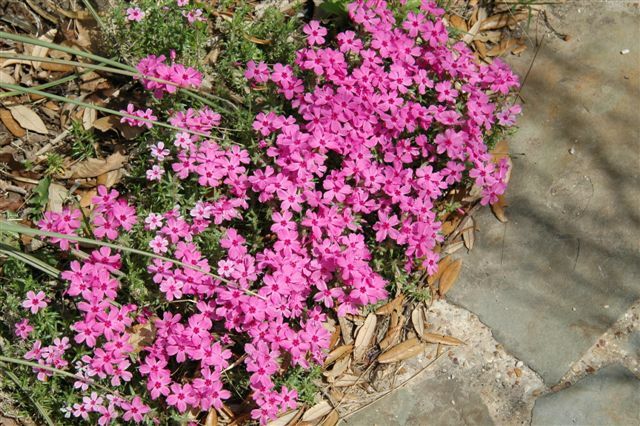 HABIT: Low growing and spreading perennial that acts like an evergreen in mild winters. Blooms in spring in pink, blue, or white. Hot pink is the most common color. CULTURE: Easy, any well drained soil, moderate water and fertilizer needs. NOTES: Reliable to bloom year after year. Plant in fall or spring. Native to North America. Also called moss phlox. ‘Blue Emerald’ is the best; its foliage is lush and dark green all summer.